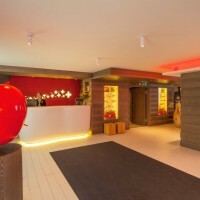 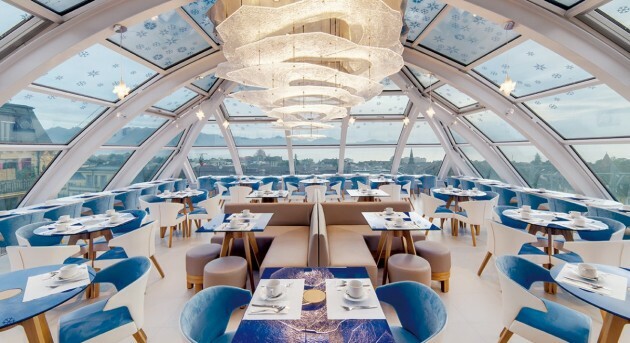 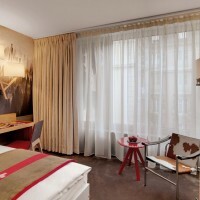 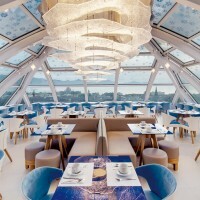 Studio Hertrich & Adnet have completed the refurbishment of the Agora Swiss Night Hotel in Lausanne, Switzerland. 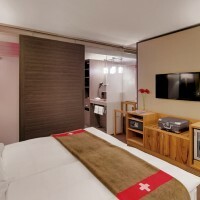 Today Eric, the son, has wished to go back to the drawing board and move towards a completely new offer: the idea was to introduce to his short stay guests (Lausanne is a gateway city for international guests, musicians, sports stars …) a contemporary look at a certain kind of Switzerland and today’s Switzerland, with a strong identity, “willing” and funny. 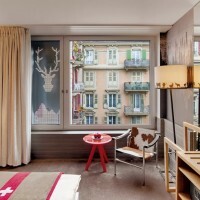 For this excellent location in the city center, Studio Hertrich & Adnet has developed the idea of a SWISS NIGHT EXPERIENCE. 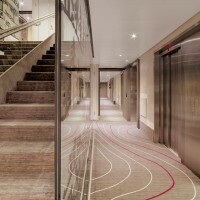 This is a thread that runs through as one discovers the hotel from the basement to the attic, like a long walk in the mountains. 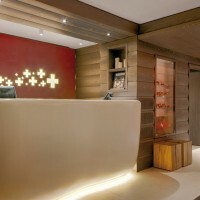 The basement hosts the spa / fitness area, evoking underground rivers, the ground floor hosts a very warm lobby / lounge area which resembles a village square, the corridors and the lift will elevate you to the heights to find “refuge” in the rooms. 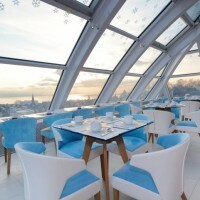 Finally, at the top floor, you reach the “roof of the world” with the breakfast room that has a stunning view overlooking Lake Geneva. 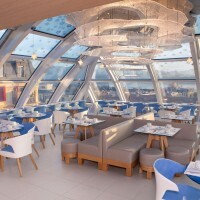 Juggling between traditional materials, revised Swiss motifs, contemporary and unusual implementations, winks of acknowledgement and anecdotes ; the whole atmosphere of the public areas and of the guestrooms goes to create cocoons that are very “gemütlich” whereas the area at the top of the hotel facing the outside is much more bright, white and ethereal.